Extreme Loading® for Structures Software or ELS, is an advanced non-linear dynamic structural analysis software tool designed with the practicing structural engineer in mind. 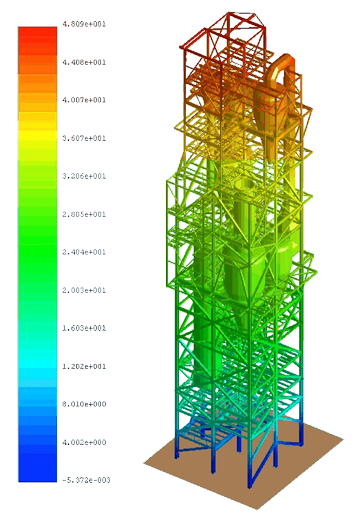 ELS allows structural engineers to study the 3D behavior of structures through both the continuum and discrete stages of loading. This includes static and dynamic loads such as those generated by blast, seismic events, impact, progressive collapse, and wind. 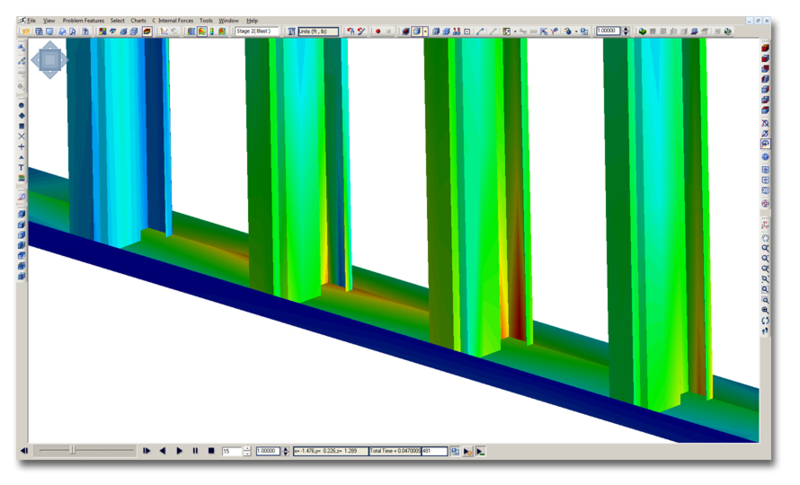 ELS utilizes a non-linear solver based on the Applied Element Method (AEM) a derivative of the Finite Element Method (FEM) and the Discrete Element Method (DEM). This allows ELS is to automatically analyze structural behavior during elastic and inelastic modes including the automatic yielding of reinforcement, detection and generation of plastic hinges, buckling & post-buckling, crack propagation, membrane action & P-Delta effect, and separation of elements. The resulting debris and impacts with structural elements are also automatically analyzed and stress redistribution is inherently calculated. Default and Customizable Styles. 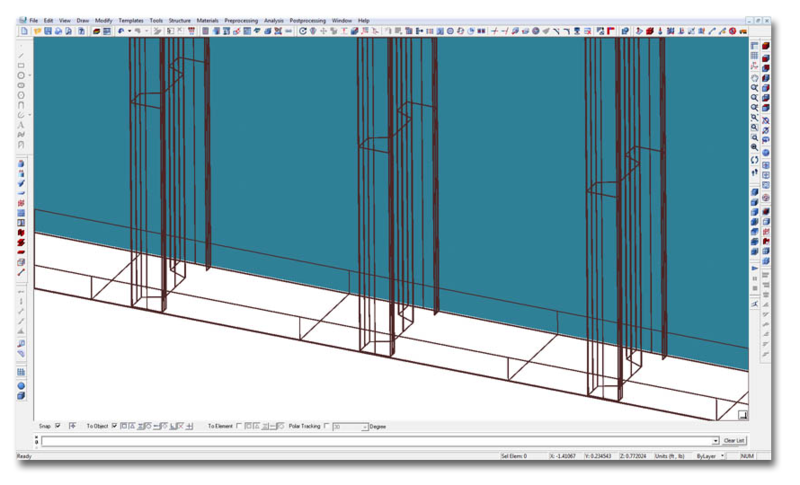 Easily model by creating styles for standard columns, girders, slabs, walls, windows, and reinforcement. Steel Section Library. Model from a library of Industry-standard and built up steel and cold formed steel sections. Custom Reinforcement. Customize rebar and stirrups using draft lines. Pre-defined Cracks and Holes. Model cracks and holes using draft lines. Automatic Mesh Adjustment. No need for re-meshing or transition elements. Material Models: Linear & non-linear materials models for concrete, steel, aluminum, brick, glass, elastic, and tension only. Single frames from *.AVI videos. Problem Features: Gives users several viewing options for interpreting results. Enhanced Display Controls: Allow users more control over output display and selection of elements, springs, sections, components, or levels. Enhanced Filters: Display objects by material or component type. Eigen Modes: View animated periods and frequencies for all mode shapes of the model. Custom Internal Force Diagrams: Create animated internal force diagrams for components, levels, or the whole structure taking into consideration cracks, rebar, yielding and other phenomena that occur during loading. Contour Diagrams: Create animated stress, strain, and kinematics contour diagrams for components, levels, or the whole structure filtered by the component type or material type. Movie Generation: Add text and markers to .AVI and .BMP. Static Loading: Apply concentrated, uniform pressure, displacement, moving, and hydrostatic pressure loads. Dynamic Loading: Apply concentrated uniform pressure, displacement, moving, seismic, blast, impact, and hydrostatic pressure loads. Staged Construction & Deconstruction: Add or remove structural components during analysis. Initial Velocity & Acceleration: Apply velocity and/or acceleration to elements or structural component. Irregular Boundaries: Creates irregular boundary conditions to model natural terrain as set by the user. Rigid Body Regions: Easily apply rigid body constraints to any elements inside a specific region in space even if the elements are not yet created. Spring Controller: Gives users control over the material properties of springs enclosed in any specified region. Loading Regions: Apply loads to all elements enclosed in a specifically defined region. Linear & Nonlinear Materials Models: For concrete, steel, aluminum, brick, glass, tension only, and elastic. Automatic Backups: Automatically creates multiple backups of the results during analysis as set by the user. Analysis can be resumed from any of the backup files. Solver Controller: Pause and resume analysis as well as adjust some features of the model during the analysis based on the output.